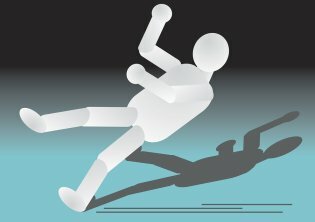 Can a Parent File a Personal Injury Claim for a Child? Parents of children who have been injured as a possible result of someone else’s negligent or reckless actions should consult a personal injury lawyer in Tracy or Manteca. 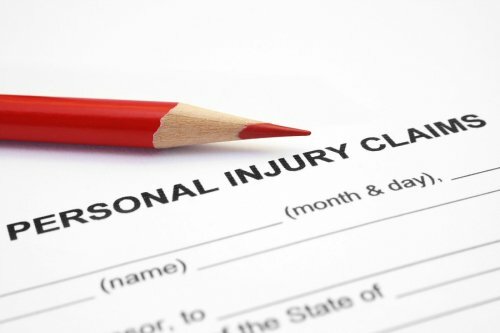 A personal injury lawyer will review the case to decide if it is appropriate to pursue damages. Since the rules of statutes of limitations are different when applied to children, it is possible for the child to wait until the 18 th birthday before filing a lawsuit on his or her own behalf. However, a guardian ad litem can also file a lawsuit on behalf of a minor child prior to the 18 th birthday. Usually, the appointed guardian ad litem is the natural parent of the child. Many lawsuits resolve with settlement arrangements. If the personal injury lawyer negotiates a settlement on behalf of the minor child, then the court must approve this settlement before it can be finalized. The injury lawyer will file the minor’s compromise petition with the court to seek a court order approving the settlement. One of the most important parts of estate planning involves setting up your estate in such a way that your beneficiaries are protected from taxes as much as possible. For sizable estates, estate taxes are a major concern that your estate planning attorney in Tracy and Manteca can help you prepare for. The government charges estate tax when your beneficiaries inherit money above a pre-determined amount. This amount is adjusted frequently by the government. The government could take a substantial amount of your estate if estate tax applies to you. A lawyer can help you set up the distribution of your estate in a way that minimizes the tax burden for your beneficiaries and saves a significant amount of money. Trusts can figure prominently in estate planning. Living trusts are established when an individual makes plans for his or her estate and are controlled by the person who established until the time of his or her death. A trust can also be established in a will for the beneficiaries by the deceased. Some trusts are easy to change, while others can be difficult, depending on the circumstances under which it was established. Any time you want to create, change, or revoke a trust, it is important to seek the help of an estate-planning attorney in Tracy to make the process easier and ensure you adhere to the complicated requirements under the law. Changing a trust, or modifying it, for any reason is relatively simply if it is revocable. Your lawyer can help you write an amendment to the trust that is attached to the original document. This kind of modification is ideal for minor adjustments in terms that don’t dramatically alter the trust, such as tweaks that provide inheritance tax or adding a beneficiary. For major modifications, revoking the trust may be easier than attaching a number of amendment. Irrevocable trusts are more difficult to modify. The consent of all beneficiaries is required, regardless of the reason, and your lawyer must demonstrate to the court that there is a legally valid cause for amending the trust. Either the person who established the trust or his or her beneficiaries can request the modifications. Generally, these modifications are requested for tax savings or to change beneficiaries. Revocable trusts are dissolved for a number of different reasons. Divorce commonly triggers the dissolution of a trust that was created jointly. Changes in financial situations, beneficiaries, property ownership, and company ownership can also lead people to revoke trusts to change the way they are managing their assets. In some cases, a trust is revoked and rewritten by a will lawyer when several modifications are required at one time. Fortunately, a lawyer can help you determine when to modify a trust and when to revoke it.